The first efforts made related to intellectual property protection in Mexico can be traced back to 1832 with the “Law of Property Rights for Inventors”. At that time, this statute was implemented as a protective measure for certain types of ideas and inventions. It was heavily influenced by existing Spanish law, and was subsequently superseded in 1889 by the “Law of Manufacturing Trademarks.” This law was modeled after French intellectual property protection legislation and was implemented during the presidency of Porfirio Diaz. In the twentieth century, intellectual property protection in Mexico was heavily influenced by international agreements and foreign statutes such as the Brussels Review (1900), the Washington Review (1911), the Hague Review (1925), and the Convention of Paris (1934). Furthermore, Mexico’s Law of Industrial Property of 1943 was heavily influenced by laws enacted in France for the protection of intellectual property within its borders. This law was modified many times and was used as the basis for the “Law of Inventions and Trademarks”, which was implemented by the Mexican government in 1976. The statute was utilized to protect intellectual property in Mexico until 1991 when the “New Law of Industrial Property” was issued. In Mexico, Intellectual Property (IP) is divided into two categories: Copyright (literary, musical, artistic and photographic works, among others) and Industrial Property (Inventions and registrations). The Ministry of Economy, through the Mexican Institute of Industrial Property (IMPI) has the legal authority to administer systems of intellectual property protection in Mexico at the national level. Industrial Designs such as Industrial Model, Industrial Drawing, Brand, Commercial Notice, Commercial Name and Denomination of Origin. Temporality, which is the stipulated time during which the protected can be exploited commercially. Today, the rules governing intellectual property protection in Mexico are under scrutiny. As the process of the renegotiation of the NAFTA continues, representatives of the three signatory countries all agree that intellectual property rights need to be better safeguarded to ensure the trading bloc’s global competitiveness. The governments of the Mexico, Canada, and the United States are certain of the fact that many of the NAFTA’s IP provisions are out-of-date or are under-enforced. 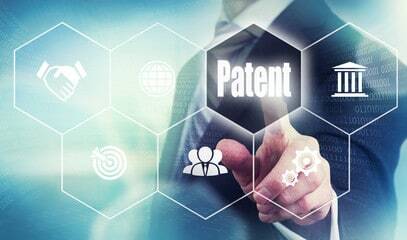 It is estimated that infringement of patent rights and IP theft costs American consumers and businesses $300 billion each year. Intellectual property protection in Mexico is particularly important to the United States and to its economy. Intellectual property-intensive industries support the jobs of about one in five US workers, while that value that such industry contributes to the United States’ economy is a more than significant $6 trillion of its GDP. Promote international cooperation through the exchange of information with institutions responsible for protecting intellectual properties in other countries.